Penn State Cancer Institute has joined forces with the nationwide Big Ten Cancer Research Consortium (BTCRC), an organization that pools resources from 12 major educational institutions. Without the bureaucracy typically associated with larger cooperative groups, the BTCRC strives to advance the fight against cancer with greater speed and agility. This is evidenced in the ability of members to share their resources for clinical trial research, benefiting patients of member institutions by allowing them to gain access to clinical trials being conducted throughout the Consortium. The BTCRC was first established in 2011, and all current members, including Penn State Cancer Institute, were members by 2013. It arose as a result of the diminishing research opportunities for junior faculty and greater demands to pre-screen large populations to identify small, molecularly-enriched subsets.1 “Our membership in BTCRC allows access to new research ideas, often proposed by more junior investigators, in front of a national audience far more quickly than would otherwise be possible,” says Raymond Hohl, MD, PhD, director, Penn State Cancer Institute. The Cancer Institute is currently participating in almost 10 active cancer clinical trials through the Consortium. Dr. Hohl cites the work being done by Monika Joshi, MD, assistant professor of medicine, as an ideal example of how concepts can be actively advanced to clinical trials. Her research hypothesis states that radiation therapy will enhance the therapeutic efficacy of immunotherapy in bladder cancer. This research has recently received funding to begin recruitment and will be able to draw from a much larger patient pool due to BTCRC involvement. She postulates that the combination of durvalumab, an anti-PD-L1 antibody, with radiation, will result in better progression-free survival (PFS) and disease control rate. Dr. Joshi intends to secure 42 patients at six centers for this trial. In addition, Dr. Joshi is involved with a study involving the anti- PD-1 antibody pembrolizumab (MK-3475) in combination with bevacizumab for the treatment of metastatic renal cell carcinoma. Phase IB of the study seeks to establish the maximum tested safe dose of study drug pembrolizumab (MK-3475) in combination with bevacizumab for subjects with metastatic clear cell renal carcinoma (RCC) after failure of at least one systemic therapy for metastatic disease. 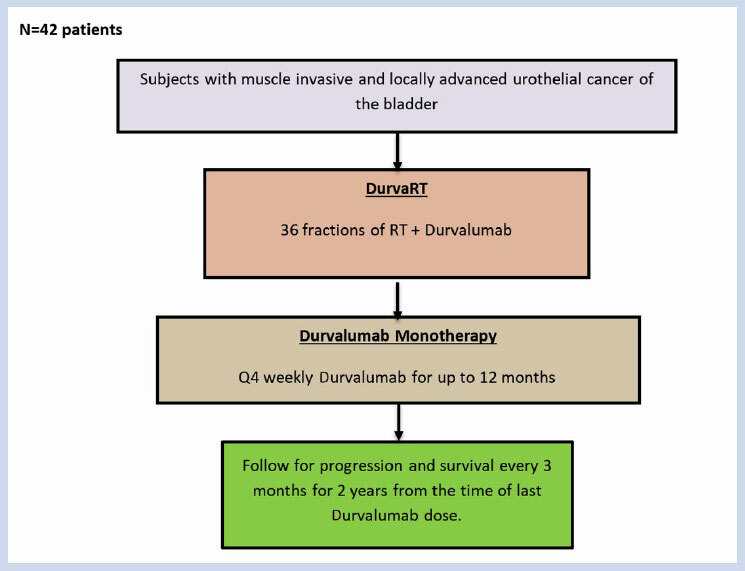 Phase II is focused on determining the activity of a combination of pembrolizumab and bevacizumab in first line therapy for subjects with treatment-naive metastatic clear cell RCC as assessed by complete or partial response rates (RR) based on RECIST (Response Evaluation Criteria in Solid Tumors). “I find it exciting to be a part of these research efforts. It provides us with a way to learn about the latest approaches to treating cancer and improving the current standard-of-care,” says Dr. Joshi. She looks forward to the opportunities provided by these ongoing studies for other clinicians to offer novel treatment approaches to their patients. Through its membership in the BTCRC, the Cancer Institute is an active participant in cutting-edge research currently being conducted throughout the member institutions. FELLOWSHIP: Hematology/oncology, Milton S. Hershey Medical Center, Hershey, Pa.
RESIDENCY: Internal medicine, PinnacleHealth, Harrisburg, Pa.
https://www.bigtencrc.org/about/. Accessed July 26, 2016.